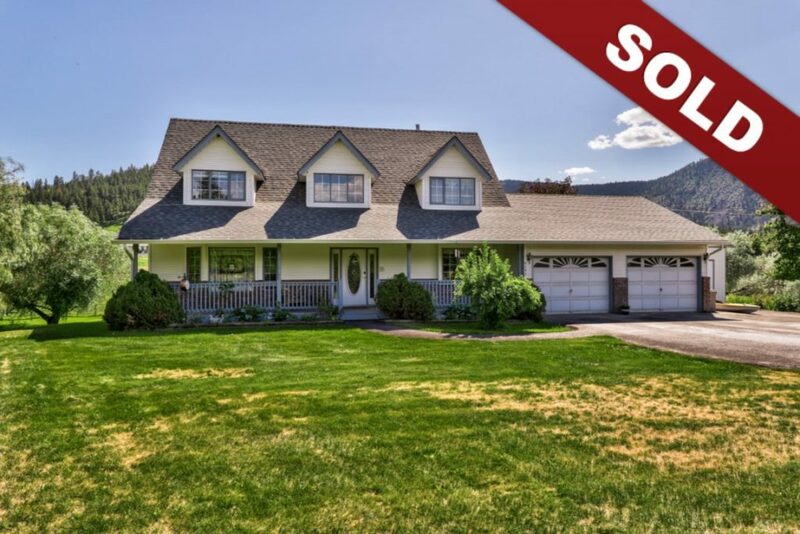 New Listing: 6493 Barnhartvale Road, Barnhartvale, Kamloops, BC $819,000. Spacious two storey home featuring a beautiful L shaped in ground pool and gorgeous 2.44 acres of flat useable land. The main floor of this home features a grand entry that has a living room and dining room off of it. There is an open great room space kitchen with nook and family room that leads to the deck which overlooks the pool and grounds. Other features of the main floor are laundry, a 2 piece bathroom and access to the oversized 2 car garage. The second level features 4 bedrooms, including a huge master bedroom with 3 piece ensuite. The basement level has an additional 2 bedrooms, large family room, games room, 3 piece bathroom and a large storage space. The basement is a full daylight walk out with access to the pool which is fully fenced. Recent updates include: pool liner 2015, pool pump 2017, roof 2014, furnace and hot water tank 2014, fenced and cross fenced 2010 & 2011, pool safety cover 2011, sand in filter 2016, Duradek and rail 2009 and pool deck recovered 2012. The home also has a number of flooring updates throughout and updated appliances. Beautiful property that has a small orchard with many different fruit trees and a fully irrigated property with water rights from Campbell Creek.